Recently, standardization of procedural automation of manual operations has been promoted mainly by the International Society of Automation (ISA). As a leader in this area, Yokogawa released the operation efficiency improvement package, Exapilot, which integrates the expertise of skilled operators into automatic sequences and operational guidance for the first time in the world. 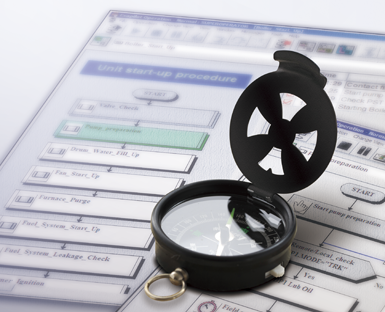 Yokogawa has since gained much experience of many applications in various industries. To utilize Exapilot know-how to help customers operate their plants effectively, Yokogawa has launched a new service called "Best Practice Pilot." By applying it to a continuous polymerization process in the Ehime plant of NIPPON A&L INC., the project dramatically shortened the start-up time and reduced manual operations. This report outlines the Best Practice Pilot and its application to the polymerization process. Production Department, EHIME PLANT, NIPPON A&L INC.
As a leader in this area, Yokogawa released the Exapilot operation efficiency improvement package1, the procedural automation software in 2000, which integrates operational know-how into explicit knowledge and automatic sequences, for the first time in the world. Yokogawa has since provided more than 1,000 Exapilot systems around the world. The Best Practice Pilot is a service that offers customers a solution for the best plant operation by implementing the expertise of skilled operators into Exapilot procedures by utilizing know- how accumulated through the Exapilot applications. This report introduces how Exapilot was utilized for operational improvement in the EHIME PLANT of NIPPON A&L INC. The EHIME PLANT of NIPPON A&L INC. (hereinafter referred to as "Ehime plant") produces various types of plastic products. Especially, the polymer known as LITAC-A is much appreciated in the market because of its transparency, dimensional stability, and mechanical strength. Some of the features of the continuous polymerization process to which this service was applied and its operations to be automated and standardized are described below. The start-up operation of the polymerization reactor, which is the main facility in the process, requires strict temperature control. Other relevant facilities must be started up simultaneously with the reactor. These troublesome and delicate start-up operations placed a heavy burden on operators. 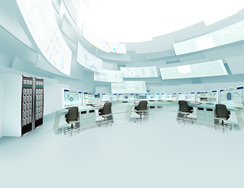 A few years ago, the Ehime plant consolidated several control rooms and migrated a distributed control system (DCS) from the old one to the CENTUM CS 3000. The consolidation was successfully finished but many operations continued to be done manually to replicate the operations equivalent to those before the consolidation. As a result, operational improvements to achieve the expected effects of the consolidation remained as future issues. Around that time, Yokogawa was about to launch this service as one of its solution businesses, and the Ehime plant and Yokogawa shared various expectations. Consequently, we jointly studied the feasibility of applying this service as described below. Provisionally analyzed the operation data in January 2010. Confirmed through the analysis that there were too many manual operations compared with the number of operators, and that it was necessary to reduce the burden on the operators. Examined the feasibility of procedural automation by applying Exapilot to decrease the number of manual operations and to achieve more economical operation. Exapilot had been installed in the Ehime plant as the system was migrated to the CS 3000. Exapilot is highly compatible with the CS 3000, and so the combination of Exapilot and the CS 3000 was expected to be useful for improving operations. However, the usage of Exapilot functions was limited to the logic monitoring, not for automating procedures. Decided to introduce Yokogawa's Best Practice Pilot for relieving anxiety about utilizing Exapilot for control purposes and for configuring and installing an application smoothly. An overview of the Best Practice Pilot and the Exapilot utilized for this service is described below. In an unsteady state, and even in a steady state, many operations are left to the operators' discretion, posing an obstacle to the improvement of operation efficiency. The Best Practice Pilot offers consultation for procedural automation of manual operations and operation procedure standardization and implements the optimized procedures into Exapilot including its engineering service. The Best Practice Pilot includes the following. The procedural automation of manual operations requires a lot of system resources and engineering man-hours if done using only DCS functions. Even after the completion, it entails considerable costs for maintenance in response to process changes, such as modification of equipment. Exapilot provides icons on the configuration screen representing operational functions, such as starting pumps, FCS data setting, requesting field work, and holding a process until a predefined period of time has elapsed or a specific condition has been reached. By placing and linking these icons in a sequence of operation procedures on the screen, experienced operators can program their own expertise and procedures into Exapilot as semi-automatic operation sequences. The FCS data setting means downloading the settings of the data or mode of operation into the field control station (FCS). 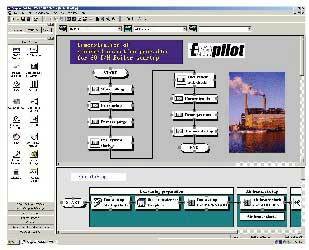 Figure 1 shows an example of the configuration screen of Exapilot. As shown in Figure 2, execution of the programmed sequence is displayed on the operator console, which can be used for phase progress management. Figure 3 shows a typical system configuration for the automation of operation using Exapilot. 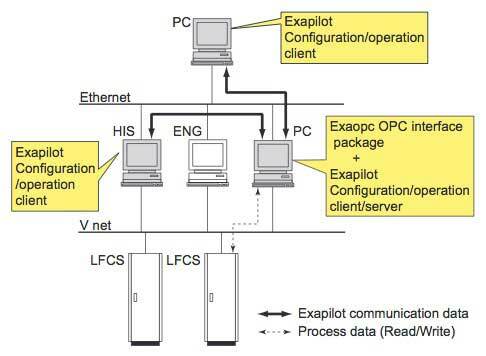 Exaopc2 in this figure is OLE for Process Control (OPC) interface-compatible general-purpose OPC server software. For maintaining a certain service quality, each step of the procedure of this service is defined on the basis of the Six Sigma DMAIC (Define, Measure, Analyze, Improve, and Control), which is a famous quality control method for products. Table 1 shows the procedure. 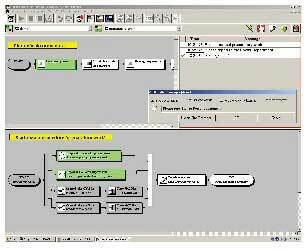 Design DCS control functions so that the application functions are smoothly allocated to Exapilot and the DCS. The application of this service in the Ehime plant is outli ned below. The target operation was determined through discussion between the Ehime plant and Yokogawa. In the meeting, Yokogawa introduced examples of Exapilot applications and explained key success factors as know-how. Since this was the first trial of introducing an operational improvement service for the Ehime plant, the start-up operation of the continuous polymerization process was selected as the target of the service, since the procedure is sufficiently complex to expect certain benefits with limited risk of the work load for application configuration. The operation offering the maximum return was not selected because of its higher risk of considerable man-hours. The improvement goals were to standardize the start-up operation, minimize the time required for the operation, and minimize manual operations (to almost zero, if possible). Before starting the actual works, training of "operational improvement using Exapilot" was conducted at the Ehime plant to get the customer familiar with the service procedure. Since the targets were already set, the training was carried out effectively. A part of the operation procedures was temporarily input to Exapilot as a product of this training. To establish the best operation procedure and to standardize it, the contents of the Standard Operation Procedure (SOP) for the targeted operation were assembled and modified to meet the actual best practice at the same time. Through the training, people at the Ehime plant learned how to break down operation procedures into Exapilot and also learned how to construct logic using Exapilot. The Ehime plant took the initiative in configuring the application. The configuration work included the following items. This configuration work was finished in a total of approximately 10 working days over three months. Yokogawa checked the contents of the application created by the Ehime plant for the following items. Yokogawa presented the points to be corrected, such as typing errors in the tag names of the storage devices, and proposals for reconsideration to the Ehime plant as a summary of reviews. The Ehime plant finally checked the application based on the proposals offered by Yokogawa. The completed application was applied to the start-up operation in the presence of Yokogawa. The improvement effect brought about by the service was evaluated and reported with the service activities of the application. A large screen was prepared and the Exapilot execution monitoring screen was displayed on it to utilize the progress management function of Exapilot effectively. As a result, everyone involved with the operation could easily monitor the progress at a glance. By optimizing the operation procedure, a 10- to 11-hour start-up operation was shortened by 1 to 2 hours. The number of manual operations in DCS was drastically reduced. The work was successfully completed without any fatal initial failures, which are common when new applications are introduced. Although most of the work of this application was carried out by the Ehime plant, Yokogawa contributed a lot throughout the process by offering Exapilot know-how, especially during the steps of Define and Improve. As a result, the roadmap of the application was clarified, the necessary works were minimized, and the troubles of inconsistent logic, which are common on initial introduction, were avoided. The initial anxiety about automating sensitive manual operation to control reactor temperature precisely has been eased by the successful introduction of the Exapilot application. Consequently, the effectiveness of Exapilot for other applications is widely recognized. In this case, a key success factor is that Yokogawa had a clear vision of the control system in the Ehime plant, and was able to offer the right services at the right timing. This experience emphasizes the importance of daily communication between users and vendors. Based on the successful experience of Exapilot application, the Ehime plant is now considering expanding procedural automation to more complex operations as well as to other processes in the plant. Yokogawa has conducted consulting services utilizing Exapilot tailored to each user's individual requests. Reviewing this case as the start of the service, Yokogawa will establish Best Practice for the service. This includes improving and enhancing the contents of the service, so that the service can be offered in a systematized way. LITAC-A is a registered trademark of NIPPON A&L INC.
Exapilot, Exaopc, and CENTUM are registered trademarks of Yokogawa Electric Corporation.